My Uber was supposed to drive me to Florida...what am I still doing in freezing cold Michigan? We are ready for this cold to go away! 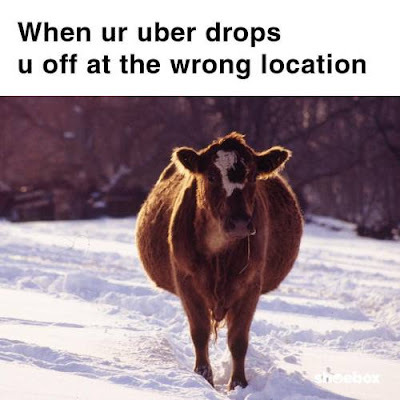 I knew there was a reason I've never taken Uber. That cow looks ready to birth twins.